Chinese products are famous for giving value for money. But this one, exceeds expectations. It has all the specs you could dream of and unlike others is available to international buyers. But what is so special about this 10 inch Android tablet. Not many have heard of Onda outside of China. But with the specifications on offer, people sure will in the future if they concentrate on packaging their tablets for the international markets. Onda is a Technology manufacturer based out of Shenzhen, China. Their website is now offering international shipments for their new V972 Quad Core Tablet PC and so it is worth a look. Let us determine how it stands. 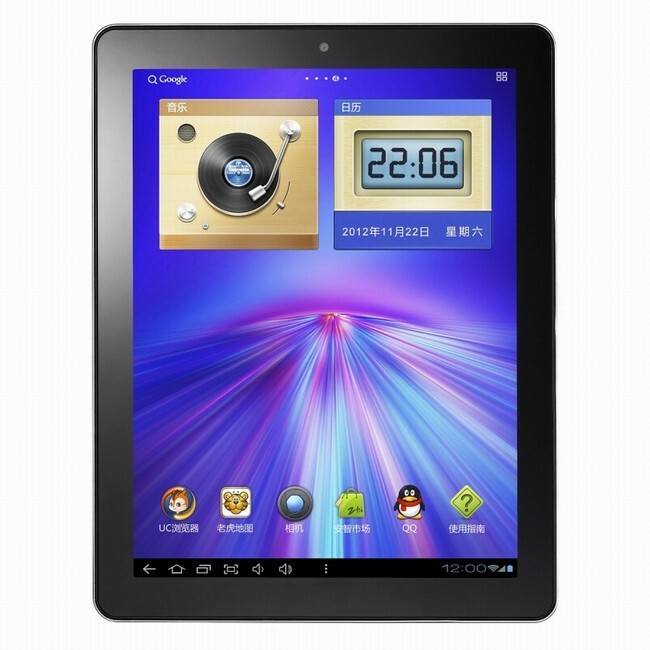 The V972 is an Android 4.1.1 tablet pc powered by an all Chinese assembly of components including the AllWinner A31 Quad Core processor which delivers a 1 GHz processing speed. It also has an inbuilt GPU powered by a 2GB RAM to give a good video playback and gaming experience. But what is most attracting is the specifications on offer for a price tag of just around Rs 12,200. Yes. A 5 Mega pixel rear camera along with a 2 Mega pixel front camera. The display offers 2048 x 1536 resolution on a 9.7 inch screen. Add to that an inbuilt flash 11.1 and you have a great tablet for viewing pictures and media. An 8000 mAh battery is built to ensure atleast an 8 hours browsing experience. Apart from this you have basic connectivity options in the form a miniHDMI port, 3G through USB dongle, Wifi and sensors. With Google Play available on the Android Jelly Bean interface, you can easily download your favorite apps, wallpapers and music. However, there have been reported overheating issues in the tablet which might be because of the design of the tablet itself. The form factor too is not very good with 9.8 mm thickness which is a lot for a tablet. All this adds to a massive weight of over 600 grams. Another issue for users outside of China is that the custom menu and text is in Chinese which can be bit of a pain to change to English or any other language. The shipping costs of the tablet and add to that warranty issues in case of device failure or other bugs act as deterrents for international buyers. The tablet is on sale at Onda’s own website that allows users to pay through card or net banking. So, if only these issues can be sorted out, this Chinese tablet packs a serious punch. Do write back or comment if you have purchased or used one and tell us your thoughts about it.